I’ve been thinking about figs for a while now. Maybe it’s because I never really liked them growing up, even though they look so beautiful and tasty, or maybe it’s because I saw a few recipes recently pop up in magazines because they’re in season – at any rate, when I realized that I could get some fresh organic figs, I decided to take the leap. In anticipation of their arrival today with my Full Circle order, I made a fresh and incredibly rich ricotta cheese with milk and cream from Fresh Breeze Organic Dairy. The ricotta – incredibly rich, almost buttery, slightly salty, with a yellow hue – was the perfect taste complement to the sweet and luscious fruit. 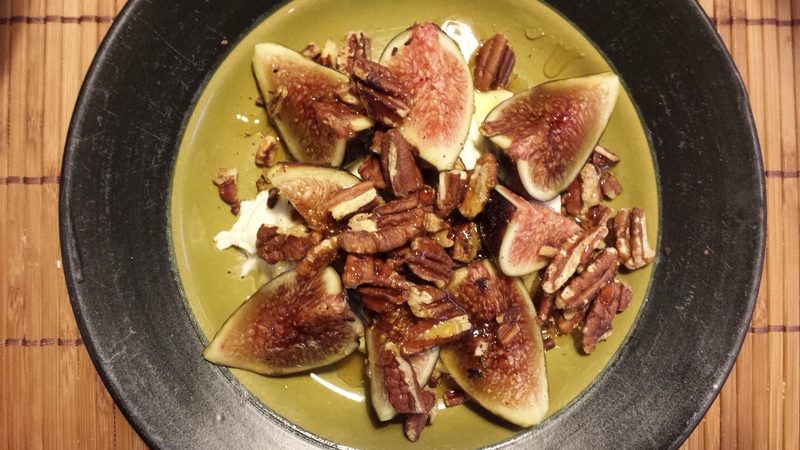 Add crunchy toasted pecans and sweet, sweet honey, and you have one hell of a side dish. Or is it dessert? It turns out I still have 10 figs left to experiment with. Next up? Maybe this fig and vanilla infused vodka. 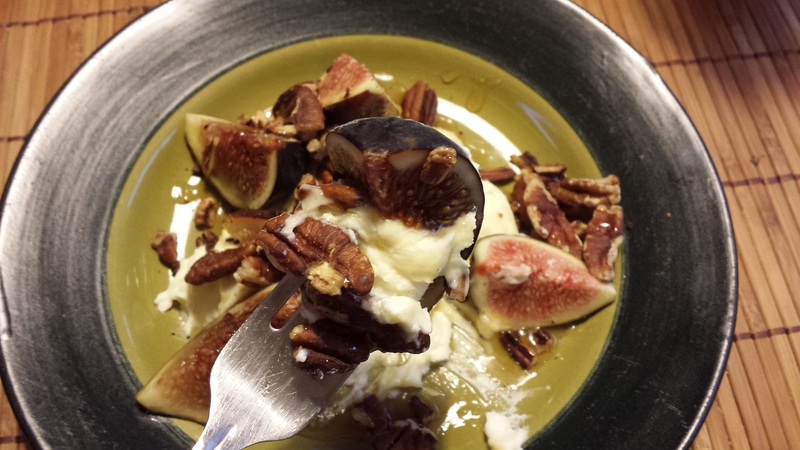 This entry was posted in Kitchen Notes and tagged cheese, fig, honey, pecan, ricotta. Bookmark the permalink.